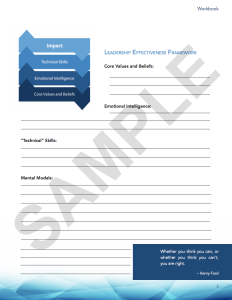 content created by a leader in the ﬁeld, have more time to focus on clients with a ready-made workshop template. 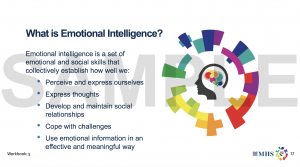 Alternating between group activities and individual reﬂective exercises, this engaging workshop encourages leaders to focus on their leadership strengths and areas they can develop further. 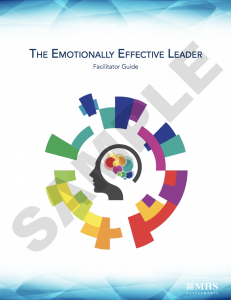 The facilitator kit includes a detailed facilitator guide, a PowerPoint slide deck, and a sample participant guide.